UFX Bank offers new traders a forex bonus of up to $1,500. The bonus is instant, meaning it's immediately available upon your first deposit. You can start trading with the bonus right away, effectively using the bonus as an immediate trading buffer, protecting your trading capital. Create an account at UFX Bank through ForexBonusFree.com, make a first deposit and the bonus is immediately added to your account. 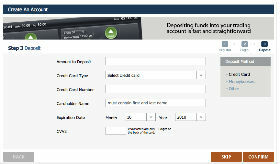 The forex bonus is a 30% deposit bonus, meaning that UFX Bank will add 30% of your deposit as a bonus to your account. In order to withdraw the bonus you must trade at least 1,5 mini lot for every dollar in bonus received. There is no time limit to clearing the bonus, so you can take as long as you want. 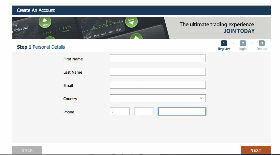 You create an account at UFX Bank and make a first deposit of $700. UFX will then immediately add an extra $210 to your account (30% of your deposit) so that it now totals $910, ready for trading. 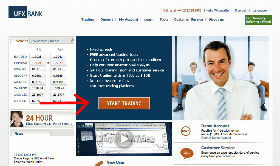 If your first deposit is $1,200, your forex bonus will be $360, so that your account would total $1,560. UFX is a relatively young forex broker (established in 2008) but its professionality, customer friendliness and easily accessible platform have quickly proven this broker is here to stay. UFX is regulated by the National Futures Association (NFA). Instead of a downloadable platform it mainly uses a webtrader, which to some might be something to get used to -since up until a few years ago most brokers offered mainly downloadable platforms- but for traders used to work and trade from different locations it's great. UFX Bank also offers guaranteed stop-loss and take-profits, meaning you're protected against slippage (always good to know). Because UFX Bank offers better spreads for bigger traders, it tends to be a better solution for the better capitalized forex traders. To compare, Platinum account holders (minimum deposit $10,000) get a typical spread of 2 pips on the EUR/USD, whereas Micro Account holders get a typical spread of 4 pips. However, Standard account holders get the industry competitive 3 pips on the EUR/USD, and you only need $1,000 to open a Standard account. And of course one of the things that makes trading at UFX Bank so attractive is the bonus. A 30% on your first deposit is above industry standards, especially since the bonus will still be added to your account immediately. If you have never had an account at UFX Bank yet we definitely recommend opening an account and taking advantage of this excellent instant forex bonus. 5. 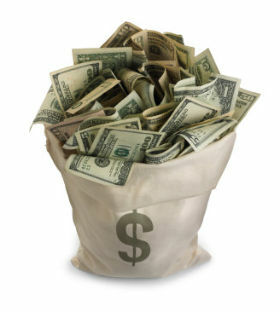 Receive Bonus in Your Account!